Take the Ariana Pokies Game for Free Slots Spin Here. Microgaming ups their pokies game ante with this Mermaid themed slot game called Ariana. Showcasing wonders of the mysterious deep, this slot game is a sure delight to lovers of the sea. And, with a noteworthy expanding and stacking Wild that raises your chances of getting wild-symbol wins, almost any gambler would find it hard to resist this game’s allure, which is undoubtedly more than one kind. If you like ocean themed slots like the famous Aristocrat Dolphin Treasure pokies you should enjoy this free game below. Play Ariana pokies game for REAL CA$H Here ! Ariana online pokies is made up of 5 reels and 3 rows. There are up to 25 paylines; however, players won’t be able to set the exact lines that they want to bet on. Instead, you can set Bet parameters like Coin Size (which can go as low as 0.01 to 0.50) and Coins (which has 1-10 levels). Those are pretty much all betting factors that you have control over. Left to right is the direction of all winning combinations, and wins are multiplied by your total bet. Microgaming also chose to add low-value symbols in this slot game (10, J, Q, K, and A, to cite all). Their rewards vary at best as can be readily perused from this game’s paytable. 10 pays the least at 125 maximum credits, while A is the one to get because it can shower you with as high as 300 credits (for a 5 of a kind win). High-paying symbols of this Ariana slot are unique in that they appear as stacked symbols on reel 1. Of course, stacks of symbols only ever serve the purpose of raising one’s odds of getting wins involving them. Seabed Treasure Chest, Seaweed, and Mermaid are the game’s said symbols. Take note, though, that Mermaid actually stands out from the rest as it stacks on all reels. Similar to their low-tier counterparts, they also give very different credits with their formations. Seabed gives the minimum, but no less significant, rewards capped at 625 coins. Treasure Chest is at 750, while Seaweed raises this to 875 credits. Mermaid, rightly so, is the high-tiers’ best symbol reward-wise as it caps at 1,000 coins. Watch out for scatter symbols (Starfish), though, as these offer up to a whopping 12,500 credits (assuming Lady Luck proved to be kind on you by giving you 5 of these symbols in a single spin). 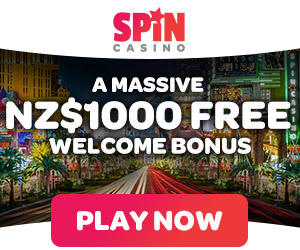 Their bonuses aren’t limited to that, as they also start this game’s Free Spins bonus rounds. Wild symbols take the form of this game’s Logo and fulfills the substituting role of most Wilds in other slots. Nonetheless, it does become more important in this game’s Free Spins feature. Apparently, its stacked symbols on reel 1 can be considered as already a special feature of this slot game. But how exactly does this slot’s stacking and expanding capability of high-value symbols work? Well, if, for instance, a stacked Mermaid symbol appears on reel 1, any other succeeding reel (from left to right) that lands a Mermaid symbol also becomes occupied by a stacked Mermaid. If it’s a Wild, it expands as well. Also, keep in mind that the expand effect only occurs if you land a winning combination. As for Free Spins, players are promptly rewarded 15 Free Spins every time they get 3 to 5 Starfish on the reels. As said above, wild symbols level up in a round of Free Spins since they become stacked on reel 1 as well, increasing the chance of winning wild combinations.